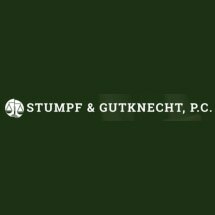 The law firm of Stumpf & Gutknecht, P.C., provides counsel for families and their businesses in Columbia, Illinois, and surrounding areas. As a professional law office, our goal is to provide excellent legal services at a reasonable cost, to establish and maintain relationships with our clients and to earn the respect of the community in which we practice. Our lawyers have more than 50 combined years of experience helping clients resolve the legal issues they face in their personal or professional lives. We concentrate our business law practice not only on entity formation but also on helping clients with their ongoing legal needs, including commercial code compliance, employment and labor law concerns, contracts, acquisitions and sales, succession planning and more. A significant portion of our practice also includes assisting individuals and families with the creation of wills, trusts and other estate or succession planning. We strive to help clients arrange their affairs properly in order to maximize asset protection and provide for their loved ones. We also help families navigate the complexities of probate, estate and trust administration. We also provide informed guidance in all aspects of residential, commercial and agricultural real estate transaction and disputes; municipal law concerns; criminal law and appellate representation. In all of our areas of practice, we seek to represent each client as we ourselves would want to be represented. Our lawyers collaborate with clients throughout the duration of their cases, and we provide evening and off-site appointments as needed. For professional and personalized legal services in southern Illinois, contact Stumpf & Gutknecht, P.C.